The British Labour Party has been experiencing a rare and revealing problem, some of their members have broken the golden rule and have been speaking honestly expressing thoughts which most prefer not be made public. In an effort to subjugate their remaining members who might be tempted to join the chorus singing the songs revealing their honest beliefs and allowing their beliefs normally kept tight to the chest and under wraps displayed out on their public clothesline for all to bear witness. The leader of the unbelievable revolt and leader in making this spectacle has been the duo of former London mayor and Labour activist Ken Livingstone and Labour MP Naz Shah who were suspended for anti-Semitic comments. Their crime was honesty as they were simply stating what so many leftists the worldwide believe when it comes to the Jewish People, Israeli Jews and Jews in general. One of their tropes calls for all Israeli Jews be forced to relocate into the United States and leave the entirety of the Middle East including the Israelite homeland for the Arab Palestinian Muslim invaders who poured out of the Arabian Peninsula dislocating, destroying or slaughtering every Jewish community they met forcing the remaining Jews from their ancestral home, the lands the Europeans wish to reward the conquerors with and punish the indigenous peoples who are returning to their homeland making it productive for the first time in centuries. One easily identifies their racism which runs ramped in their desires as they are not demanding the Jews be permitted to return to their former homelands as that would include numerous Arab nations who had forced their Jewish citizens to flee often with merely one suitcase and the clothes on their backs. 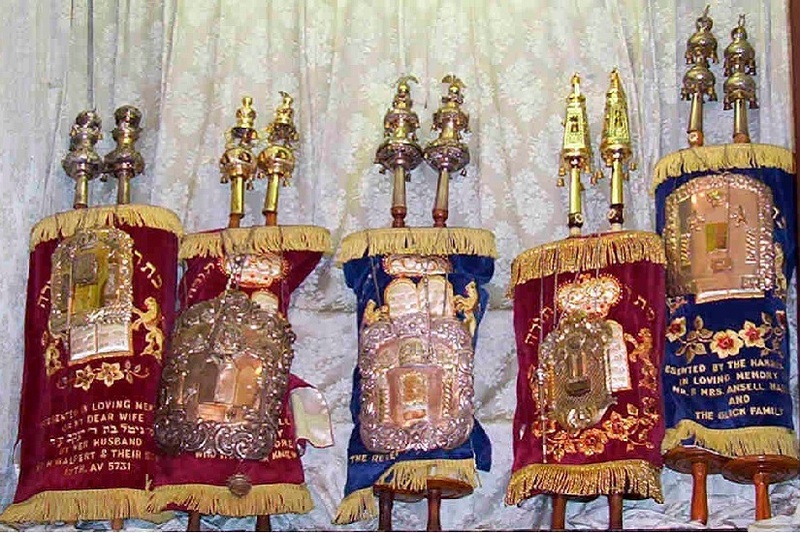 Often the suitcases were inspected and any items of worth, anything from treasure to even slightly valuable, such as but not limited to Torah Scrolls, Tefillin, jewelry, artworks, heirlooms, objects of silver, anything with gold, platinum items as well as coins or other monies were removed and stolen by the inspectors. They also are apparently refusing to permit the Jews from Europe to return to their homes from which they were driven or from returning to their former homes or anywhere else in Europe. Their demand is for all Jews to be relocated into the United States starting with the Israeli Jews. Does any of this sound familiar? Europeans demanding that the Jews be relocated away from their homes starting with those from the Middle East, especially from Jerusalem and the remainder of the Jewish State. At least they are not starting with the Jews residing in Europe, though we would bet they would be next shipped off to the United States. After the World War II experience with the S.S. St. Louis, what makes them believe the United States would accept the world’s Jews saving them from a fate of suffering and death? We would bet there are sufficient in the United States who would be extremely averse to such a plan and would do whatever it takes to resist such from occurring likely allying with the State Department working to drown such an idea from fruition through endless paperwork. What is truly frightening is that the idea, the concept, the plotting, the whatever you desire to call it, the shipping Israeli Jews wholesale off to the United States to be settled where and under what conditions with what future intents is actually one of the least prejudicially insulting thoughts emerging from Britain and around the entirety of the European Union (EU) and fellow governments. Salim Mulla, who currently serves as a Labour councilor for the city of Blackburn, made a number of anti-Israel, anti-Zionist and anti-Semitic comments in the summer of 2015 including amongst them, “Zionist Jews are a disgrace to humanity.” What is an even more frightening reality is that there are a number of predominantly leftist Jews in Europe, the United States and around the world even to include Israel who would agree with that statement. But hating Jews whether Zionist or new wave progressives who could not tell you what the inside of a Synagogue looks like not having seen one since they were thirteen, are not anything new in the world and definitely not new to Europe. What is truly frightening is the depth and expanse of such hatred within the Middle East and North Africa (MENA) where anti-Semitic beliefs run rampant and are off-scale compared to the rest of the planet. For an in-depth global study’s result, one can peruse the conclusions of the ADL Global 100, An Index of Anti-Semitism. The results in the different categories and especially regarding the Shoah, the Holocaust, are absolutely frightening and prove that its remembrance will have fallen through the cracks and exited our common memories within another two or at most three generations. 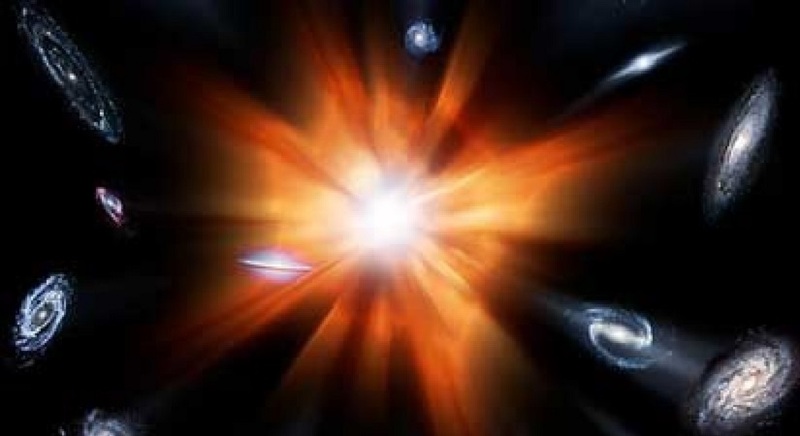 If one does not remember or know from whence they came, they cannot have any idea where they are heading as they have no reference points or knowledge to compare now with then. That aside, the rapid rise of anti-Semitism and particularly anti-Israelism and anti-Zionism in Europe and lagging but rising in the United States and the remainder of the Anglosphere is purely frightening. It is these statistics and general mistrust by those in positions of power, especially those in appointed positions such as ministers and others in the EU, that reveals the extent of the problem. Though absolutely appalling after the atrocities committed in the names of the European people during World War II, the return and rampant rise of anti-Semitism is simply beyond reason. That the Foreign Minister of Sweden not only made directly false anti-Semitic tropes assigning their worst attributes to the Prime Minister of Israel, his Cabinet, the Ministers of the Knesset, “Settlers” and Israelis generally; then along came the former mayor of Malmo, Sweden with comments when in power advising the Jews of Malmo, and community with tens of centuries of history in the town, that there was nothing which could be done to protect the Jews and if they felt unsafe they should move to somewhere far less threatening in their opinions and then dismissed the issue. 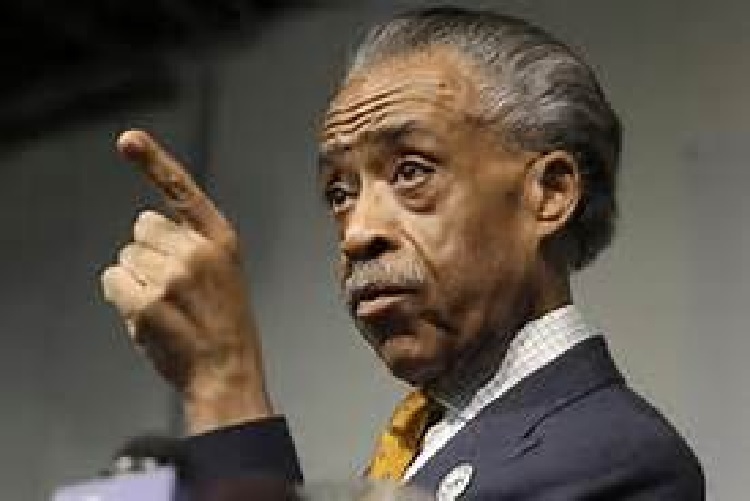 Then there are the near riots and even riots by the new immigrants against allowing the Jews any representation in government, positions of power or respect, teaching, professorship in the universities and other positions much as the Nazis denied such to Jews. It is also how the Arab governments limit the Arab Palestinians under their stewardship in the numerous refugee camps where Arabs have languished for decades not permitted to hold jobs much more respectful than street sweeper and who are forbidden a normal education, instead having their children taught anti-Semitic hatreds and poisoning their minds leading to the terrorism coming from these camps. These camps even exist in Nablus, Gaza City and other areas under Arab Palestinian rule where their own rulers treat them as lepers who must only be released to infect Israeli society and are separate from the Arab Palestinian society surrounding their camps. Europe blames Israel for the sad treatment of these Arab refugees who are far beyond Israeli influence. European politicians largely believe that Israel is an easy target on which to pin all of societal ills. Still, looking through the opinions of Jews and particularly Israelis, one finds the nations who are most favorable are those which have had an unforeseen or other horrific natural or manmade disaster and found the Israelis not only the first there with the most and a system in place where it is as if they are trained for just the events they address from typhoons, earthquakes, tornados, flooding, disease or any other natural or manmade disaster. In Haiti, Israel had the first functioning and fully operating hospital with X-Ray, MRI and every modern diagnostic department including neonatal long before any other such as the United States was a close second almost matching Israel’s hospital but over a week later. Israel also had dogs, robots and every conceivable search and rescue assistance on the ground within thirty-six hours. In the Philippines after their worst and most horrific storm in history, Israel was amongst the first on the scene; it was difficult beating the United States as they have bases already there. Nepal, Japan, Philippines and the other nations where Israel has come to aide, even setting up Israeli clinics in villages so remote they had previously never been visited by outside assistance even from their own government, have lower statistic of anti-Semitism then even the developed nations. Often in these instances one Israeli remains behind for a year training the people of the village and surrounding area first aid, use of diagnostic equipment, upkeep and calibration, and other areas of medicine leaving the clinic and equipment behind and restocking these clinics until the government of that nation can take over the operations. Israel had the most broad search and rescue teams as well as field hospital in Nepal, something nations with ten times as many of their citizens lost in the earthquake did not do. Israel remained ten days longer than scheduled as they refused to depart without finding their last citizen. These nations have the least anti-Semitism of the world as they have seen the truth that is Israel. Israel is one of the few nations to offer the United States their assistance after Katrina and Sandy and other natural disasters. Often Israeli assistance is refused as in Sandy and Katrina as well as 9/11, but Israeli expertise assisted after the Boston Marathon bombing. Israel has been accused by some of never stepping up and assisting the United States after a disaster and labeled as ingrates for such lack of actions. The truth is Israeli assistance after every disaster in the United States has not only been refused but banned from assisting even through Jewish agencies. Still, Europe rates less anti-Semitic than anywhere outside of the United States and Israel. The most negative feelings towards Israel and Jews come from the Arab Palestinian areas where they are fed a continuous sixty hour a day stream of anti-Semitic lies and misrepresentations even including misrepresenting actual news stories, using proven libels such as the Protocols of the Elders of Zion, and religious instruction which demands their hatred of Israel and the Jews. The area with the highest anti-Semitism, anti-Zionism and anti-Israelism was MENA followed by Asia and Sub-Saharan Africa with North America and the United States and Canada along with Czech Republic having the lowest such numbers. MENA led the world with number of people never having met a Jew in their lifetime, but that did not prevent their hatred for them. Next in the never having met a Jew was Sub-Saharan Africa and Asia. Europe rates very high on having met a Jew yet still held many negative feelings and beliefs about Jews. The study linked above is an eye-opening read and is in largely graph or simple percentages making comparisons and such very easy and the coverage is truly universal and extensive. Despite many attributes one might think their civility would prevent Europeans from being heavily anti-Semitic, anti-Zionist or anti-Israeli. They managed to reach high levels in many areas which should be cause for concern and even panic and reassessment of their societal outlooks. One of the more amusing sets of numbers was the percentages which believed that the Jewish Population of the planet was above 2%, above 5%, 10% and even 20%. The truth is the Jews number below 0.2% of the world’s population. Europe still had a higher rate of hatreds and belief in stereotypes and blood libels even compared to areas of the world with almost no Jewish population. The frightening numbers in Europe and beyond were the percentages of those who had never met a Jew to having highly anti-Semitic, anti-Zionist and anti-Israeli rating as well as believing some of the most horrific and terrible blood libels about Jews such as the Holocaust was made up by the Jews as well as believing that the Jews controlled media, retail, politics, the United States, and other businesses which even the most casual observer could see was false. Despite the seeming propensity of Europeans, and an even higher percentage of European politicians, dislike to hatred for the Jewish People and everything that is seen as Jewish such as Israel, Zionism, and presumably the Governments, Israeli leaders still seek European approval. If Jews were even marginally as influential and controlled so many nations, political parties and think tanks and other political entities; we would not be so despised. We really would rule the world and control everybody’s life from birth to death just as far too many Europeans believe. With such spewing of hatred and poison from the European halls of power and hierarchy against Israel, Zionism and Jews in general, one would think that the Israeli government would be done with Europe and anywhere else that holds such negative tropes as truisms. Instead the Israeli leadership spends far too much energy and effort attempting to favor friendship with these European leaders who would just as soon demolish Israel and eradicate what they see as a scourge on the planet which is the Jews. The manner in which Prime Minister Netanyahu and Defense Minister Ya’alon have acted echoing almost word for word the New York Times (American newspaper that thinks it is European), the French, British and other parliaments, far too many Foreign Ministers and virtually every other anti-Semite sitting in a position of power in Europe; one would think they are running for election in Europe. They feign glory to the point that it becomes an obsession serving the European Parliaments and their respective ministers. Though some Israeli politicians have seen fit to denounce Salim Mulla, Jeremy Corbyn, Ken Livingstone, conspiracy theorist Michael Harris, Ilyas Aziz and a few others, the majority appear to believe that if the Europeans or Americans disapprove of an action that Israel should be forbidden doing such. Had such an attitude existed in 1947-8, there would likely be no Israel as either Israel would have declared itself a state or forever remained in limbo as the Europeans and United States State Department believe now as they did then. This seeming insistence that every move taken by the government of Israel must first have the approval of the United States and Europe and that if too many amongst these anti-Israel haters disapprove then obviously Israel should reassess their standards and the manner in which things are observed bringing them in-line with the Europeans and Americans. That is no way to effectively run a country, especially one as alienated as Israel. The Israeli politicians apparently get into a society where emulating the Europeans and certain Americans (you know, the politically correct Americans and not those Tea Party, Sarah Palin supporting, Rush Limbaugh, Ted Cruz supporting, Michael Savage listening, Glen Beck following Neanderthal throw-back, retro-genetic, devolved morons) becomes required. Things in Israel must be conditioned and approved to be socially acceptable at the finest of European art houses and cafés no matter the effect or results and destructions such policies might have on Israeli society and the survival of the Jewish People. This dependence on European and leftist approval had become most evident in the treatment of the soldier Elor Azariya in the shooting death of a Palestinian terrorist who had just been neutralized from attempting to stab IDF soldiers at a checkpoint but had yet to be inspected for explosives or even other weapons. The soldier stated he believed that the terrorist was reaching for a detonator, a story upheld by virtually all others including MDA medics who were at the scene and some unable to even approach the terrorist as he was not completely rendered safe and explosives free among other security checks. The soldiers who had not done so were busy tending an injured soldier with multiple stabbing wounds. There had been a second terrorist who had received fatal wounds when soldier fired in self-defense. Before even the initial statements were gathered from those at the scene, the Prime Minister and Defense Minister were already declaring the soldier to be a horrible monster expressing rumors of things he might have said in the barracks where fish stories abound, just not about fishing. They and other Knesset Ministers along with the leftist media had tried and convicted the soldier before nightfall and were all but calling for his head on a pike outside the Damascus Gate of the Temple Mount. Their knee jerk reaction spouting exactly what would be the European reaction the next day was pathetic and showed a cowardice for backing a protector of the people, an IDF soldier. Is it any wonder why the Religious Zionists in the society feel they have no trusted friends except for a small core of fellow travelers amongst those in the halls of power. This is even more true when one considers the robes of justice would be too leftist even in some European nations and would be considered a travesty in many states of the United States. The fear to be nationalistic amongst Israeli elite is a disease which needs curing if Israel is to survive. The good news is that the majority and growing numbers of the people support the soldier and are realizing that Judaism and Zionism are the two anchors necessary if Israel is to survive. Now Israelis need to face the most impossible challenge they may ever face as a nation, finding those who believe as they believe and placing them in ever larger numbers into the Knesset and into taking position within the various government agencies, especially law enforcement and national security. The most difficult will be weeding out those holding high positions in the IDF and other enforcement agencies, most especially those dedicated to security and intelligence, as well as making greater inroads into the media and entertainment. We realize the last areas are not normally areas of expertise or even interest for those more dedicated to building the nation, its economy and religious institutions and following Torah; but if the foundations of culture are not swayed over to Torah and the land, then all else will be a struggle and forever an uphill battle. We cannot be like Sisyphus and push the bolder to the top of the hill every day only to have it roll back to the valley below every night. We must not even be like the great King Leonidas who led his three-hundred Spartans and five thousand supporting Greek soldiers who held the pass at Thermopylae for three days before falling to the Persian masses of troops. This is a battle that the religious Zionists must win decisively and permanently which means that like we learn Torah and attempt to live Torah, we must also live for Israel and make her survival on all the land Hashem promised starting with the area between the river and the sea which we must make all under Israeli rule and yet continue the democratic governance. Perhaps the time is coming where a Constitution is crafted and a new bicameral parliament or legislature established while using such to preserve the Jewishness of the nation of Israel. We need to marry all the various tribal-like customs and blur the differentiations between Eastern European and Western European as well as MENA communities and the other various tribes we are discovering as they are beginning to make the trip home, the Ingathering. Making the rabbinate to have but a single Chief Rabbi would be a step in the right direction and our children have already taken giant stride towards unifying the differing factions through intermarriage, a beautiful and fitting step in the right direction. Finally, Israeli governance must be first, foremost and almost exclusively about Israel and the rest of the world be permitted their screaming as long as we acknowledge their defamations and are able to repeat them and still refuse to establish policies based on the demands placed upon Israel by a hostile outside world. We have Torah and need little else. Torah allows our choosing our governance as long as that governance serves the people and does nothing to lessen the influence and applications of Torah to our daily lives. The time is now to claim all of Judea and Samaria and begin to allow its peoples to become Israeli citizens or emigrate with our assistance if we feel such is required. We must take control of their education system and teach their students that which is necessary to live and be productive in a modern society. We need to bring services and establish economic inclusion as well as political, cultural and societal inclusion. By inclusion we will not mean Jewish but Israeli. Those who are Israeli must include having a respect for the Jewishness of the state of Israel. If any choose to violently refuse and combat against this Jewishness, they must be forced from amongst us. This includes those who instigate, plan bombings or disruptions, actively attempt to subjugate parts of the nation or any other treasonous acts. This is no different than any other nation which is a free democratic nation. Then our nations can become one and the world will recognize our singular right as the Jewish State. Servitude is no path to equality, respectful nationalism and the exercise of the right to make one’s own way as a nation that is the path to equality. What is beautiful about this path is that each nation can walk with pride in their differences while respecting others that right and then weaving the fabric which includes all the nations of the world. None can be a part of this fabric of nations if they bare swords against their neighbors as swords will tend to cut and then shred the fabric and thus undo all efforts of mutual beneficial actions. Those baring swords need be exorcised from the community of nations and disregarded in all acts between nations until they prove they prefer inclusion to supremacy. Israel needs to show a stronger self-confidence and belief in our rightness of actions and place out before us our beloved Torah in all actions and all that it includes, as it is a rarity amongst such laws as it allows for others to live as they choose providing they allow the Jews the same. These rights are self-evident and must apply equally to all nations, end of story (and article). When one researches the various campaigns against Israel, violent attacks against Israelis, political assaults on Israel, hearings over offensive acts by Israel, and court filings of wrong-doings by Israel are sufficient in quantity that it certainly feels like it is not just Earth, our solar system, the Milky Way are against Israel but actually as if the entire universe, the entirety of the results from the Big Bang (represented below because we like this picture) lining up against Israel such that almost nothing takes the side of Israel except the One that counts for more than everything else, Hashem who works in mysterious and unknown ways which sometimes can be frustrating for Israel and Israelis. One article is completely beyond our ability to research in under a decade and more than anybody would care to read through on their lunch break or wherever our friends read BTC. So we will look at some of the reactions from around the planet concerning the current Third Intifada and the near constant violence being perpetrated against innocent civilians mostly with the few rare attacks on police, IDF and Border Police. The reactions from around the world have been nothing if not a preposterous exercise in blaming the victims and demands on victims to be more passive in their own defenses. Perhaps some examples from the recent past are in order. One of the most insidious of attacks has come from a tag team effort with the Arab Palestinian Authority with their facilitators at UNESCO (the United Nations Educational, Scientific, and Cultural Organization). It was not enough for UNESCO to recognize a state of Palestine granting it statehood despite being unable to define the boundaries and against the very charter which defines what is necessary for UNESCO to recognize a state, but they did not wish to be left out of the rush last year’s race by NGOs and other organizations to recognize a state of Palestine in whatever borders it eventually will be defined with, what a deal. They honestly recognized an amorphous entity with no defines or permanent border or even to have a singular defined government over both the areas under the PA and the only place which is defined with a border is Gaza ruled by Hamas, so which one did UNESCO recognize? This year the PA was backed by the six Arab members; Algeria, Egypt, Kuwait, Morocco, Tunisia and the United Arab Emirates, which initially attempted to include the entirety of the Old City of Jerusalem including so specifically that it was actually stated, the Western Wall and the Kotel Plaza which the PA claimed Israel was working to destroy the wall in order to assault the Temple Mount and destroy the al-Aqsa Mosque and the Dome of the Rock. At least this demand was turned down by UNESCO with their Director-General Irina Bokova who berated the PA representatives directing them to remove this preposterous claim of the Western Wall and Kotel to be a Muslim Holy Site as absurd. Still, UNESCO did decide in a vote of twenty-six in favor, six voted against, and twenty-five abstentions where United States, Britain, Germany, the Netherlands, the Czech Republic and Estonia being the only nations resisting this Islamic assault on Jewish historic and ancient holy sites which predate Islam by not just a mere few centuries but by a thousand years plus, but why should a millennium plus stand in the way of allowing another usurping of other religious holy sites by the usurpers and destroyers of all things holy to other religions and especially those far more ancient than Islam itself. We all remember the Taliban and the desecrations and destruction of the Buddhas of Bamiyan (pictured below). This is not the first time around the mulberry bush and making inventive and preposterous claims permitted by UNESCO for the PA as they have made such decisions before. As we see in this video below, where Mahmoud Abbas made the claim that not only was the al-Aqsa Mosque on the Temple Mount an Islamic holy site but that the Church of the Holy Sepulchre is also an Islamic holy site, and the PA has already made requests with the backing from Jordan to make the Church of the Nativity also as an Islamic holy site under their management and protection. 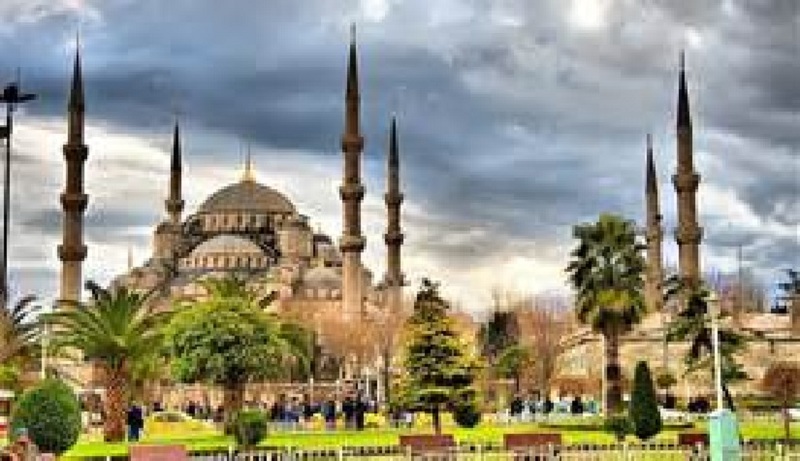 Islam has had a history of conversions of other religious holy sites and making them instead Islamic holy sites with the most famous the defiling of the Hagia Sophia being converted into a Mosque after the fall of Constantinople (pictured below). This will become a standard practice across Europe as churches and especially cathedrals are sold to Islamic groups who will convert them into mosques. But when it comes to the third Intifada which has been afflicting Israelis across all of Israel with stabbings, shootings, car attacks running down Jews, rock throwing, firebombing and gang assaults; all the Secretary General could manage was to demand that both sides step back from the abyss and refrain from taking the violence even further and taking the situation beyond the cusp and into a full scale war. His blame was carefully aimed at both sides making sure not to place blame on either side and using the pretense of equal culpability. His warnings will fall on deaf ears on the PA and Fatah side of the equation possibly because the violence has come close to taking on a life of its own and with the slightest further escalation may become something beyond the ability for Chairman Abbas to curtail and bring to an end. Meanwhile, on the Israeli side the only meaning we could take from the demand that Israel and Israelis need to be less vigilant at warding off these attacks on persons and be more understanding and simply allow such attacks to take place without any consequence or resistance or use of force for protection and just take it and thus end the cycle of violence. Having been through any number of Arab conflagrations we have realized that taking such a passive approach will only be taken as a sign of weakness and thus encourage even greater carnage and the only response which has any potential to end the onslaught is the use of overt force, the use of disproportional force as force, overwhelming force is the only thing which will deter further attacks by the PA and their terror proxies. 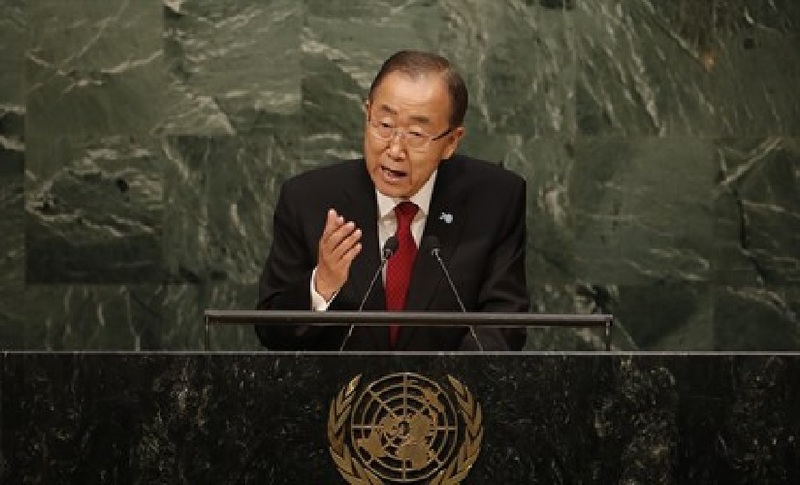 But we do not expect Ban Ki-moon to understand such things despite how he may feel, as he is such a man of peace and experience and so all-knowing. We can only hope his feelings, assuming he has such, will not be bruised by our not heeding his sagely advice. Finally we get to the pensive one, to United States Secretary of State John F (for nothing) Kerry who also had some bordering on ridiculous advice for Israel and her citizens. Perhaps the best way to describe Secretary Kerry’s sagely advice would be to allow his words to stand on their own merit or lack thereof. Kerry stated, “We continue to urge everybody to exercise restraint and restrain from any kind of self-help in terms of the violence, and Israel has every right in the world to protect its citizens, as it has been, from random acts of violence. But in my conversations with the prime minister, as well as with King Abdullah and the foreign minister of Jordan, they have expressed the desire to try to see this process be able to find a way of making certain that everybody is clear about what is happening with respect to the Temple Mount.” Additionally, Secretary Kerry spoke of desires with these words, “Israel has made it clear to me that they do not intend to and have not changed the status quo, and I think it’s important for me to meet with the prime minister and talk about the road ahead.” But wait, there’s more, “Security and diplomacy go hand in hand. There is not a time for one and then the other; really there is an importance to both. We want to see calm restored and we want to see the violence stop. And I think everybody in Israel and in the region would like to see both of those things happen.” And there were more words of unimaginable wisdom such as “We have to stop the incitement; we have to stop the violence. I believe people want this to de-escalate.” And the fun just does not stop as John Kerry went onward with claims that the conversations he was having would be “very important to settle on the steps that can be taken beyond the condemnation and beyond the rhetoric” and I bet he was implying ending the violence which he claimed both sides for fomenting and escalating and demanding that both sides stop with the incitement and that both sides needed to exercise calm and not allow the actions of the other side drive further violence on either side. We all hope that the United States Secretary of State does not mean as other State Department spokespeople have inferred that the violence needs to be addressed by the Israeli government who needs to break the cycle of violence and take the initiative for ending the violence. 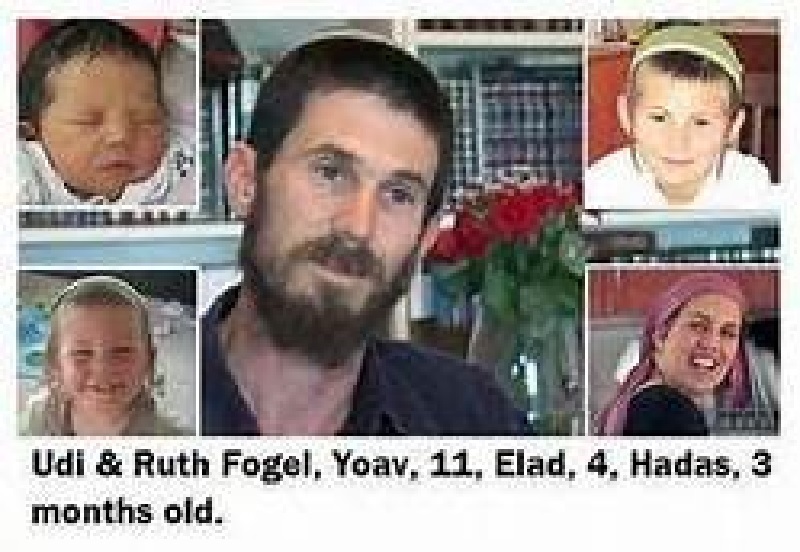 This has been the State Department swan song whenever violence breaks out between terrorists and Israeli civilians on the streets and in restaurants and even rabbis at morning prayers being shot and hacked to death and it is always Israel must take the onus for ending the violence. They are demanding that the Jew return to being the passive Jew that they so loved before the founding of Israel and the surprising survival of the tiny land nestled in the midst of a nice little neighborhood where the rest of the world around Israel wishes us dead. Their message is not even craftily hidden as it is obvious that the State department has one aim whenever Jews are being victimized. They desire a return to when the Jew lived scattered throughout Europe, North Africa, Asia, and the Middle East and were at the mercy of the rulers as they had no homeland of their own. They lived at peace only by the desires and whims of their protectors, protectors who invariably turned on their Jews when the need changed or there was any reason to find the perfect scapegoats. Be it the Spanish Inquisition, the Purification of France, the plague across Europe which did not kill as many Jews due to Jewish laws of cleanliness making them less susceptible, the whims of Caliphs and Imams, the ridding of the British Isles of the Jew scourge, the purifying of Germany of their Catholics when Martin Luther began the Protestant reformation which also called for removing the Jews by whatever means was convenient which did not exclude murdering them, the Czarist Pogroms followed soon thereafter by the Communists pogroms where the Jews were defined as an unwanted blight on the worker’s revolution despite many having been communists themselves who fought and died for the communists during the revolution just as they had died elsewhere no matter how accepted they had thought they were or how safe they had felt. Even one of the leaders, Trotsky, was a Jew and despite his being one of the most high party officials, this only got him an ax in his head when he was assassinated in his hiding place in Mexico plus any number of events of which the most horrid of them all were the wars over the Holy Lands and, in particular, Jerusalem where when the Crusaders swept through they murdered the Muslims and often the Jews for good measure and when the Islamic forces swept through next, they murdered the Christians and often the Jews for good measure. The Jews were never eradicated and often had disappeared as the scenario became well understood; both sides were none too pleased with a Jewish presence. These were the good old days when Jews were weak and without any power and were vulnerable to any change in the way the political winds blew. There have been claims that in order to escape the Spanish Inquisition a Jew stowed away on one of Columbus’s ships and when the time came to send somebody to talk with the natives, this Jewish stowaway was sent as he was considered the most expendable and the rest is history, not the part where the first member of the Columbus crew to step on the new lands was a Jewish stowaway as that has been placed in amongst the other trivial realities which history preferred to rewrite with a more bold and favorable light shining on their heroic figures who often were more prudent than heroic. We will not return to being the timid Jew as that did not serve us well and we do learn from history and we also know our Bible which has told of this return which was revealed to Moses, to Abraham, to Isaiah and has now come full circle and we are home and we will protect our beloved land from every and anyone who dares to attempt to take it from us or us from our lands. The official words from Prime Minister Netanyahu may tell of sharing our land with those who would murder us in our beds as they did the Fogel family, in our vehicles as was Alexander Levlovitz erev Rosh Hashanah, at our workplace as was Netanel Arami whose Arab co-workers cut his safety lines on the construction site they all worked and in the streets as they are currently doing in what has been identified as the Third Intifada and we will continue to protect ourselves be it by preventing further harm when in the midst of an attack to preferable before any harm is done between the drawing of the weapon, the aiming of a careening vehicle into a bus stop, charging a crowded area with a knife or cleaver or any other assault with intent to do harm and murder of any Israeli as we are not Dhimmi and never will we be Dhimmi nor will we ever bow before Allah or Muhammad as we worship Hashem, the G0d of Abraham Isaac and Jacob and not the god of Abraham Ishmael and Muhammad who took a wrong turn somewhere between the patriarch and the generations which followed.